1. A square for this blanket. Next Post Hear that? It’s my teeth grinding. 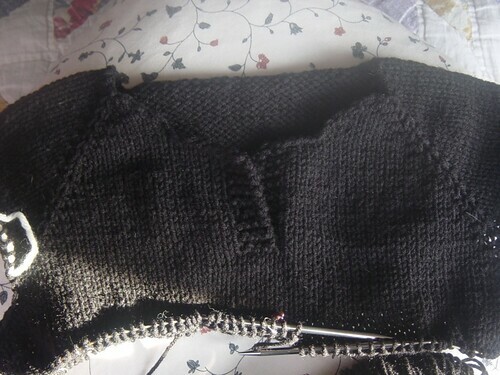 I like the black sweater best, neat i dea to include a placket like that. Love, love, love the Clapotis! Great color choice! Hmmmm WIP Wednesday. Interesting idea. Is it sad that I didn’t even know there was a bandwagon? Sigh. Lovely stuff Jen. 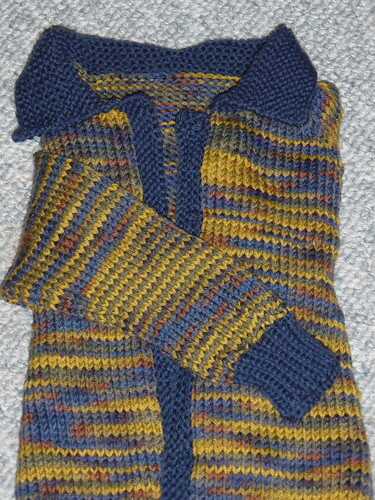 I like the neck placket on the sweater, and the colors for the Clapotis are indeed lovely. I’m finally picking up my last pair of socks out of time-out. 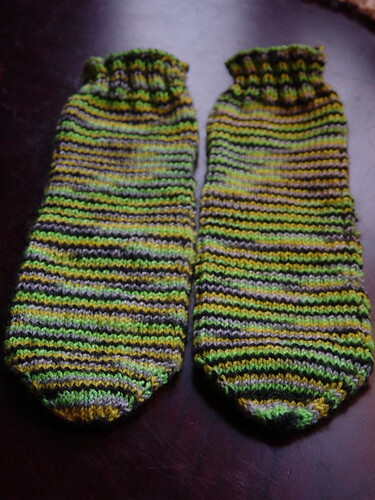 They were the ones I knit for my MIL that she couldn’t get over her heel. So I ripped them back, and now it’s time for another go at the heel. If they don’t fit this time I’m donating them to the Goodwill. Someone will have feet to fit them. Hope your weekend is a good one! Nice! 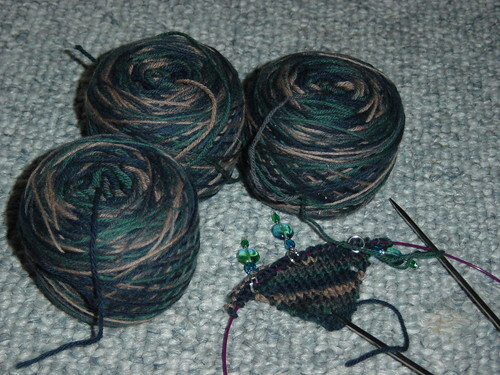 I’m dying to do another clapotis right now, but I’m not going to until I finish my other stuff.